Choose Advantage for your Lake Forest, Chicago Moving and Storage needs. Do you recognize the name Lake Forest? You could recognize the name due to it being the headquarters for many Fortune 500 companies. You could also recognize the name due to it being the home of the Chicago Bears training facility and team headquarters. Or you could recognize the city as the home, at one point, of Vince Vaughn, Mr. T or Scottie Pippen. But, regardless of whether you recognize the city name or not, with one visit you will recognize the beauty and vast opportunities the city holds. To learn more about what makes Lake Forest unique, click here. With a continually growing population, numerous private and public schools, a rich city history, easy interstate highway access and a variety of both local and fortune 500 companies, we can see why you and your family are interested in moving to Lake Forest. Regardless of the size of the move or the distance you are moving from, you can count on Advantage. Our top-rated Chicago moving and storage company offers professional moving services, customized to your unique moving needs. Whether you want our team to handle the packing, loading, moving and unpacking, or only a portion of the services, we will complete your residential move according to your specific needs. 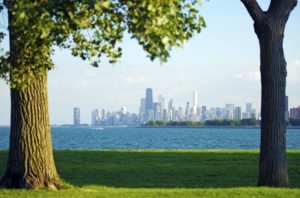 Are you moving your company to or from Lake Forest? With Advantage, your business is guaranteed top-rated services, the least amount of disruption and a smooth transition. We understand that interruption could cause your company revenue loss, so, upon contacting us a member of our Chicago moving and storage team will schedule a date to personally come and assess your moving needs and create a customized moving plan unique to your company, making the move as seamless as possible. If you are interested in moving with a leader in Chicago moving and storage, contact us. We look forward to speaking with you and moving you forward.